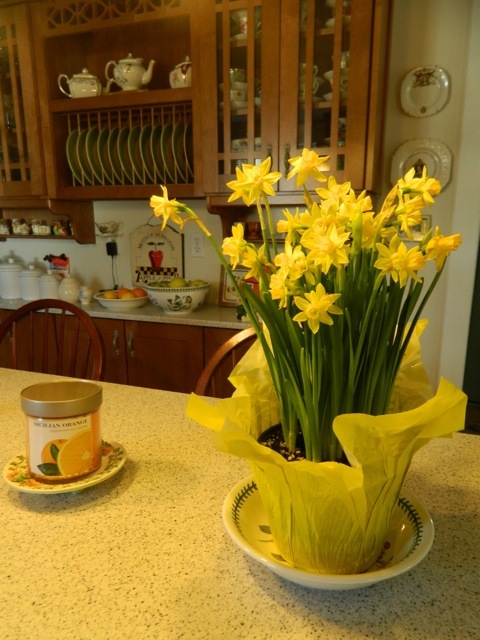 The daffodils and the forsythias are in bloom so, according to ancient lore, it's time to plant the peas. 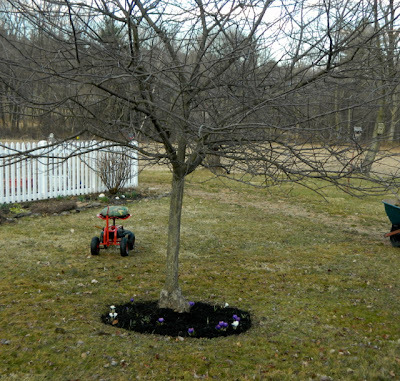 I love the start of the gardening season -- digging, planting, and getting dirt under my fingernails. Equally, I love PLANNING my vegetable garden. I have a fenced-in kitchen garden with picket fencing on two sides and pasture fencing on the remaining two sides. (I wish the picket fence went all the way around, but I cannot afford it.) The area is approximately 35 feet x 37 feet. The focal point of my kitchen garden is my potting shed, which has an acrylic glass roof on the south side. 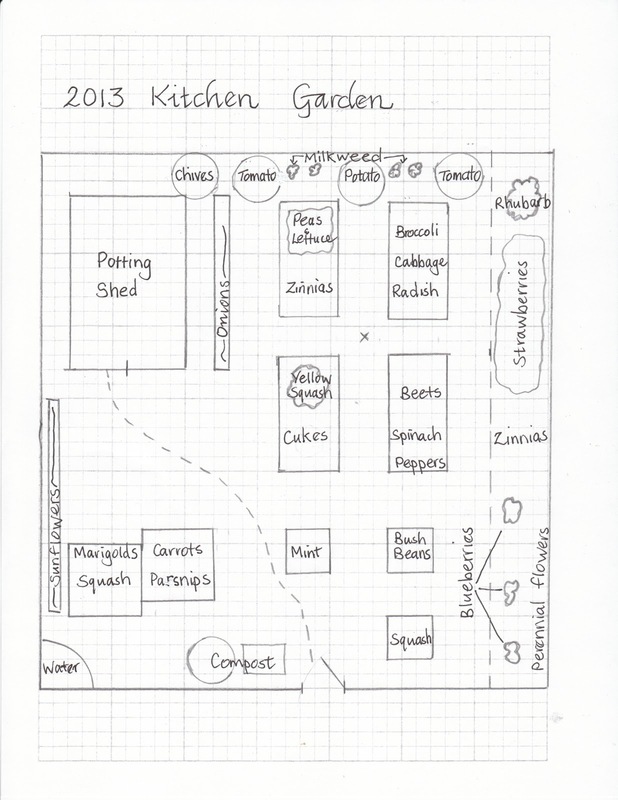 In the kitchen garden we constructed four raised beds, several grow-boxes, and I also use grow-bags. I added another deep grow-box for parsnips this year (I think my garden is full now!) The long 'lasagna' bed along the picket fence contains perennial flowers, strawberries, rhubarb, and 3 blueberry bushes. 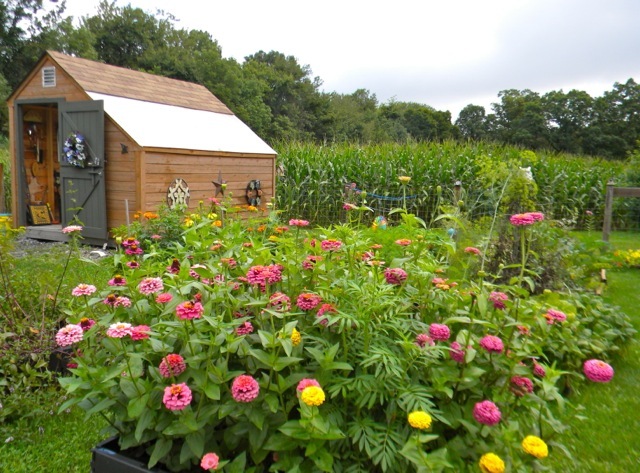 I grow my vegetables and herbs in raised beds for several reasons: they provide better drainage, I can more easily control the growing medium, they heat up faster in spring (important in the short-growing season of the Pocono Mountains), and they are not effected by toxins from the walnut tree in the vicinity. Also, when the soil is shin level, weeding and harvesting is less hard on the back. My kitchen garden is located in an area of full sun. Behind the fence, the forsythia is just coming into bloom. Each year, I purchase a couple of tomato plants and some sweet peppers, but the rest I grow from seed. I start a few seeds indoors and sow the majority directly into the ground. Timing is everything, so I don't rely completely on ancient lore. 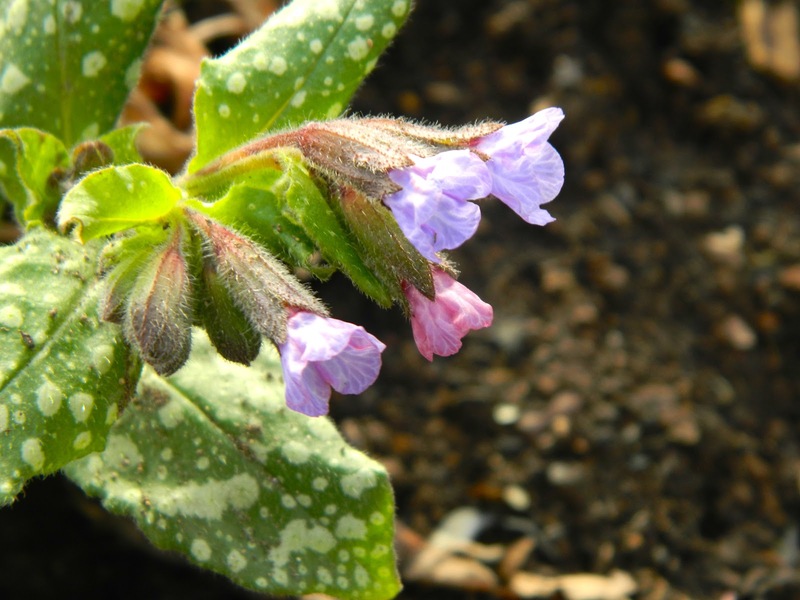 You need to know the last freeze/frost date for your area, so call the local Cooperative Extension office, or you can go to Dave's Garden to calculate the last frost/first freeze dates by your zip code. The last freeze/frost date in my area is May 23, but can be as late as June 10. The first frost is October 5, but can be as early as September 12. This gives me a frost-free growing season of around 123 days -- not very long, is it? I use a chart to determine seed-starting dates. For example, peas can be direct-seeded into the garden 4-6 weeks before the last spring frost (which is this week), and beans two weeks after the last spring frost. It is really not complicated although I was a bit overwhelmed when I started, but now I use the same chart every year. I have two deep boxes now, for root vegetables such as parsnips. If you have questions about planting vegetables, there's a lot of help to be found on the Web. I am having fun with a Web app for gardeners called Sprout it. I learned about it from my friend Mary Anne who loves technology and gardening equally. I've mentioned her wonderful blog, Leafport, before. 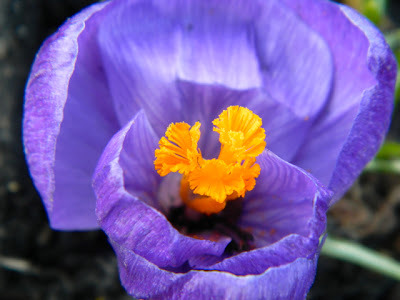 Mary Anne provides in-depth reviews of gardening apps that even I can understand. Click on Sprout it for her review. I am looking forward to reading her latest article, Foolproof Plants for Small Gardens. Do check out Mary Anne's blog! 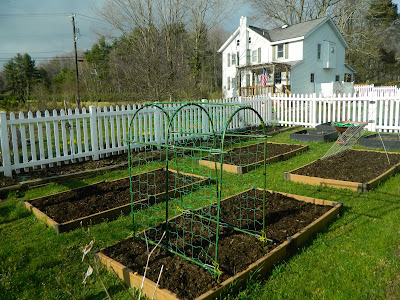 I mulched all the beds and set up the pea tunnel and cucumber frame before sowing seeds. It is important to prepare your garden beds before you buy your plants. I prepared mine last weekend. I loosened the soil with a shovel then added several inches of compost. 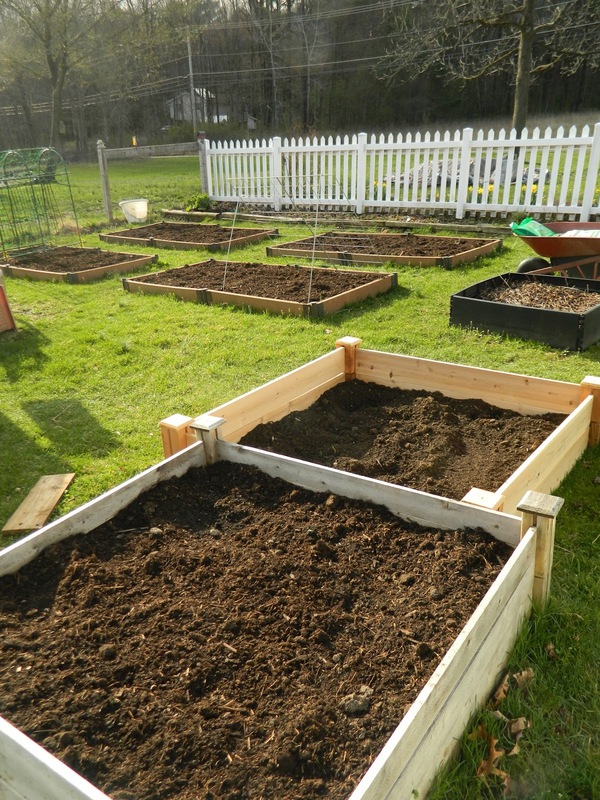 I will use a square-foot garden grid in some of the beds to help me with seed-spacing. The snowpeas are in the ground on each side of the pea tunnel, and lettuce planted underneath the tunnel. I put a set of onions along the south side of the shed. I sowed a row of spinach, also. I have started cabbage and broccoli indoors. 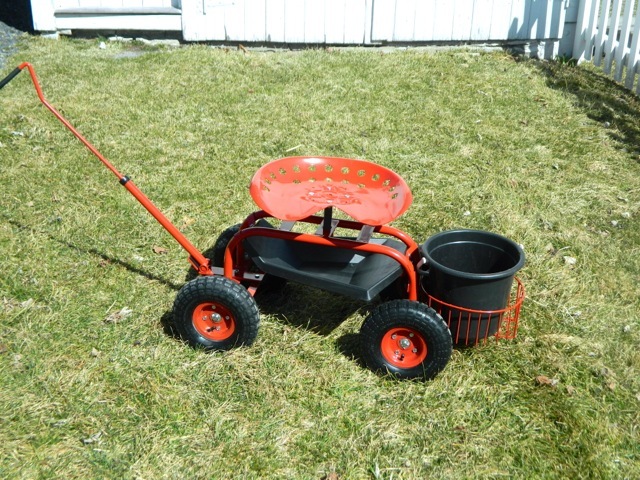 Next time I'll show you my seed-starting setup. H.H. and his brother-in-law are insulating the potting shed. I want to take advantage of solar heat with the green-house-type window. 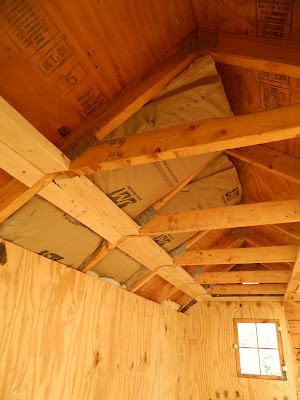 I am hoping the temperature inside the shed will stay above freezing overnight without using a heater. I hope it is ready for when my seeds need to go outside. In the meantime, I am enjoying the spring plants in bloom at last: especially primroses, hellebores, and pulmonaria. The phoebe returned to my garden a week ago -- didn't get a picture yet. 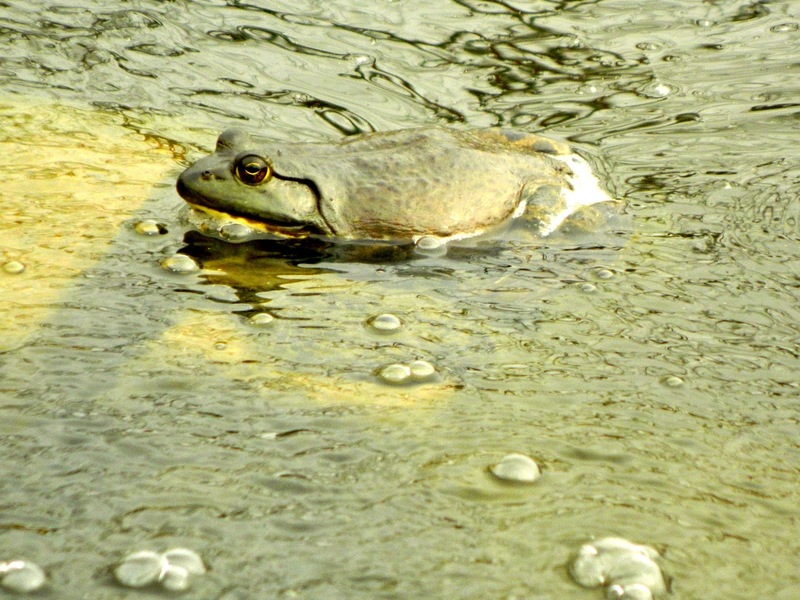 All the frogs are awake in the pond, including the big bullfrog. Nessie our bullfrog is a 'monster'. 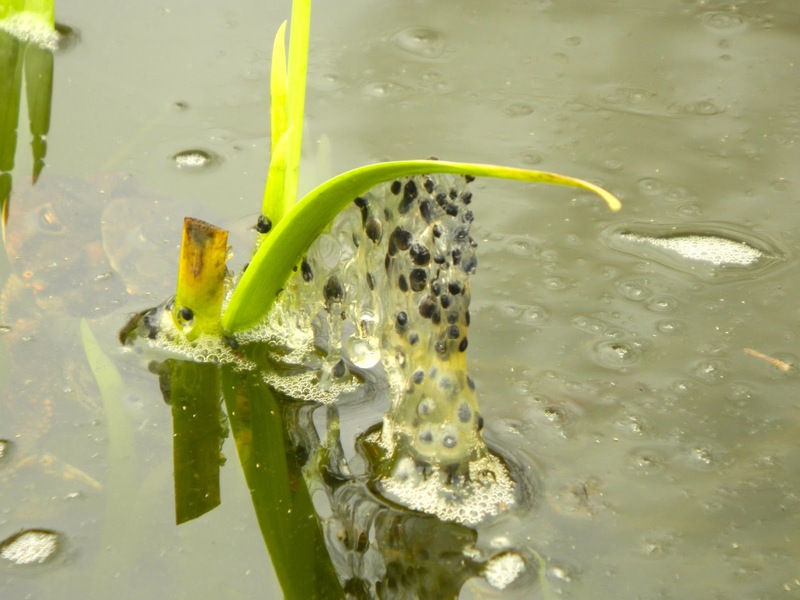 There are lots of frogs' eggs. Must close now and get back to work. This is my busiest time and I love it! My Easter Gifts from H.H. We heard a chorus of spring peepers as we passed wetlands about a mile from our house (as the crow flies) on our way home last night. The pond on Astolat Road was still silent -- it is at a higher elevation and winter lasts longer here. I suspect it will be a while before there is any frog activity around our own pond. 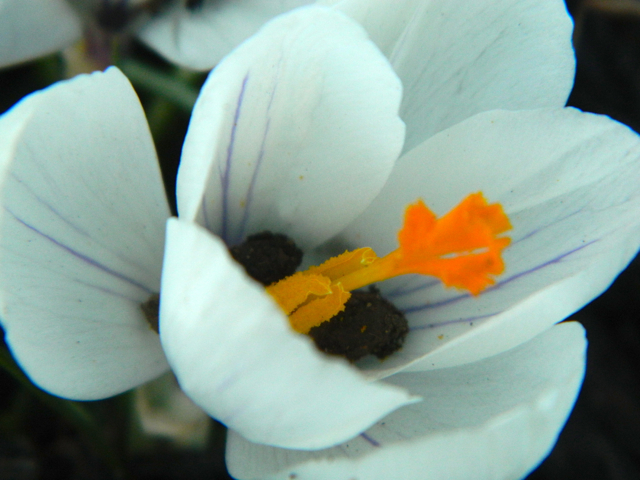 But those peepers told me spring is just around the corner at last. 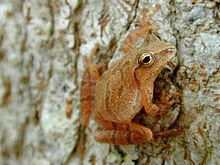 As the National Geographic says (click here --National Geographic) "Spring peepers are to the amphibian world what American robins are to the bird world." These tiny, tiny frogs make mating calls like the sound of young chickens but louder. They have large toe pads for climbing. I would love to photograph one, but that hasn't been possible yet. According to the Eastern Phenology blog "On March 27, 2012, there were several reports of the first of the season phoebes in the Lehigh Valley of Pennsylvania". 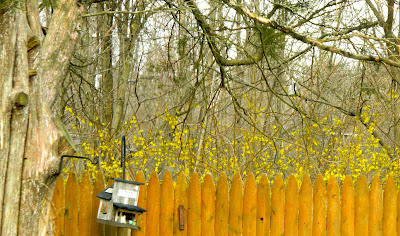 While we have many, many birds at our feeder, with several of them checking out H.H. 's bird houses, we still haven't seen phoebes. But I have my camera at the ready! 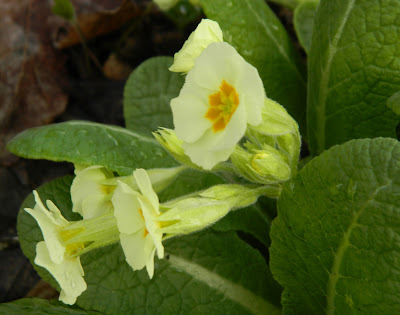 Last year, at this time, I recorded a large bullfrog in my garden pond, yellow goldfinch at the feeders, and a variety of spring flowers. 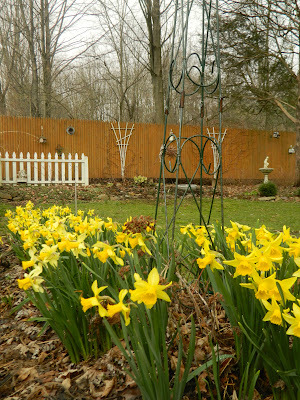 Check out my March 2012 garden by clicking here to see what a difference a year made. 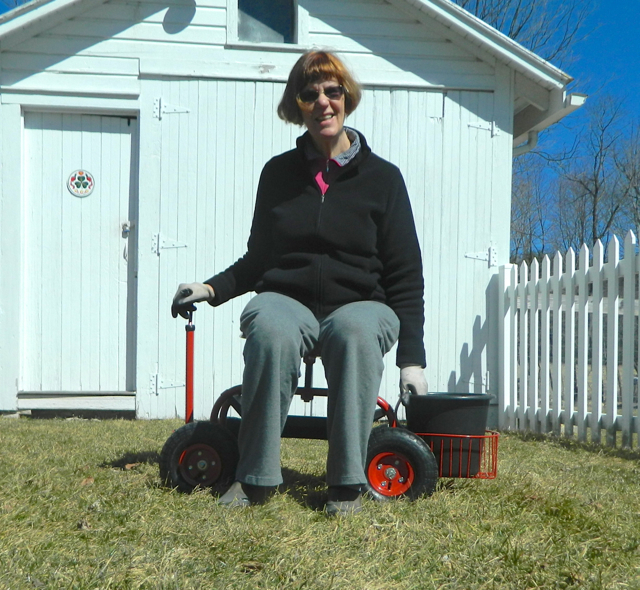 This weekend, however, was warm enough to work outside -- hurray! I was able to try the scoot my daughter gave me for my birthday -- H.H. put it together last week. This thoughtful gift is so.o.o appropriate now, because when I get down to garden I have difficulty getting up again, and my old, old knees scream in protest. The big, tractor seat perfectly accommodates my large rear and adjusts up and down, so I can comfortably have my feet on the ground. H.H. took my picture and said "You'll look good on a Jazzy." Thanks! I hope I don't need a power chair any time soon! 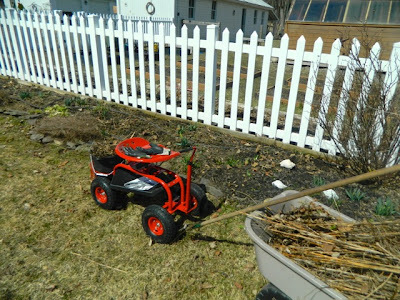 I began by tidying the picket fence border. I didn't cut down the perennials last fall, so it took a while. I am going to widen this border this year. 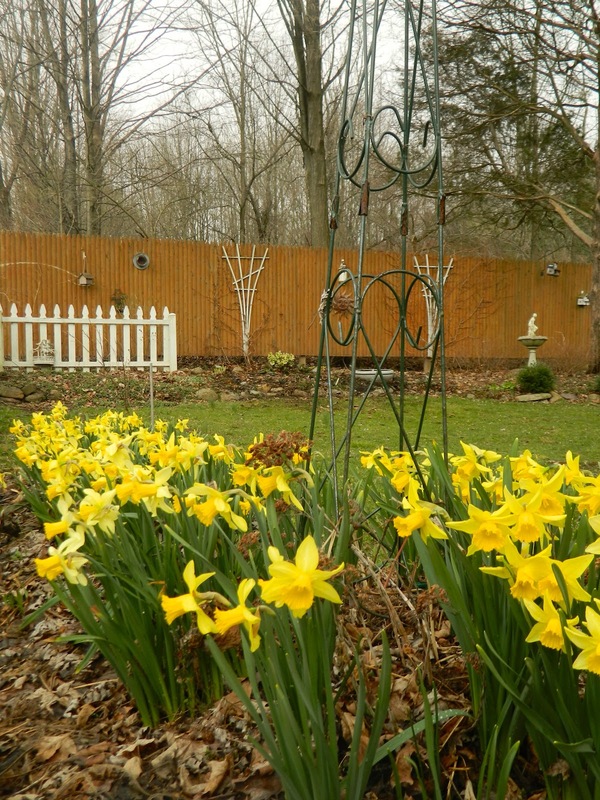 When I teach garden design, I tell my students to make borders along fences the same width as the height of the fence to achieve a balanced look. It is time I began practicing what I preach. The crocuses under the crabapple tree couldn't be seen because the grass had grown up around them. First I limbed up the tree a little. 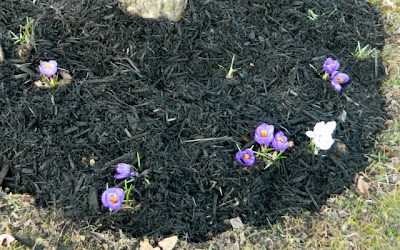 I weeded, gave all my bulbs a bone-meal treat, and added mulch to this bed. 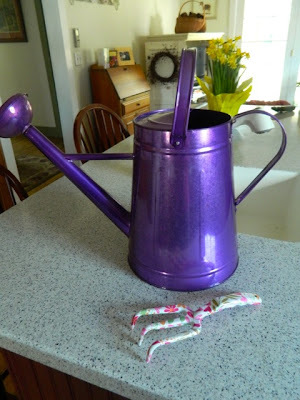 When you fertilize you should always water, so I was able to try out my new, purple watering can. 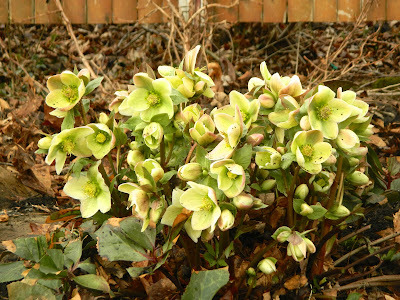 Yes, spring is here at last, and I am one happy gardener. Enjoy the new season, however late in your garden!